The Dupe Debate | The Red Brunette. 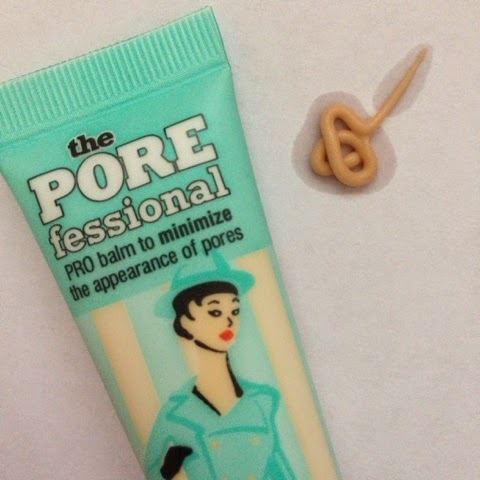 Ever since Maybeline released their Babyskin primer this time last year people have been raving about it and saying that it was very similar to Benefit's Porefessional. I tried Babyskin last year and I absolutely loved it. I was in need of a primer a couple of weeks ago and I decided to repurchase it. 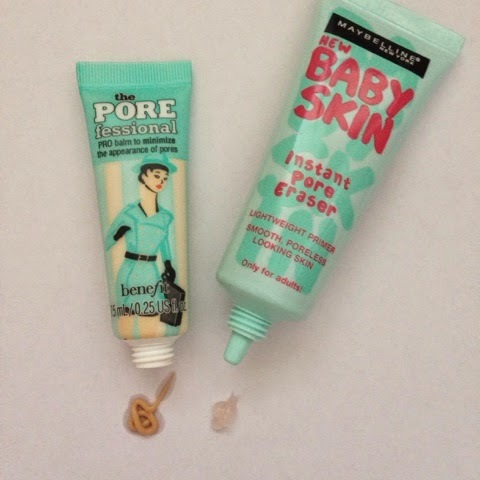 I also picked up a sample of Porefessional and decided to put them head to head and see which I prefer. The first big difference is the price. For 22ml of Babyskin I paid €11.49 on the other hand I paid €6.50 when I picked up 7.5ml of Porefessional. It works out €52/100ml for Babyskin and for Porefessional €86/100ml so obviously Babyskin is a lot more affordable. 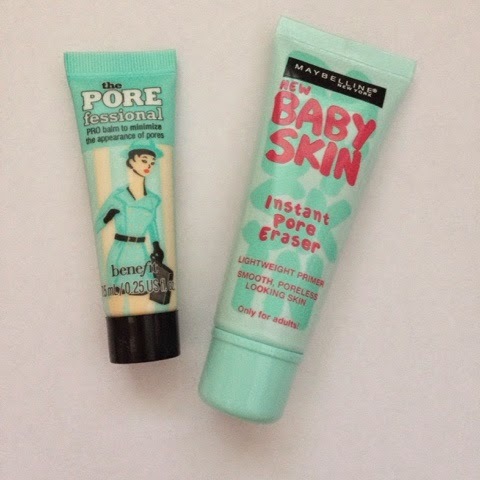 Babyskin is a clear primer whereas Porefessional is a tinted primer. Maybe Porefessional adds a hint of tint but honestly it isn't that noticeable once applied to the skin. Both claim to banish pores and they both achieve that beautifully with their silicone texture. Once applied you can't feel Porefessional as much on the skin but you can feel Babyskin as it takes a few minutes to sink into the skin. 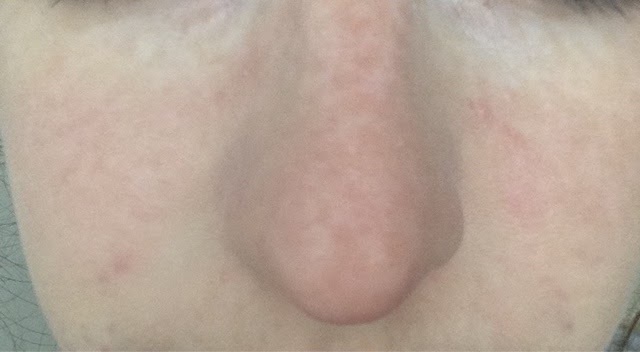 Porefessional on the left, Babyskin on the right. Another thing to note is that Porefessional has a light scent but you can't smell it once it's on your face, so do take note if your skin is sensitive to fragrance. Once I apply foundation over both primers I really don't see a difference only that my pores are invisible. Loreal True Match foundation over Porefessional on the left, Babyskin on the right. I can not fault both primers and highly recommend both. 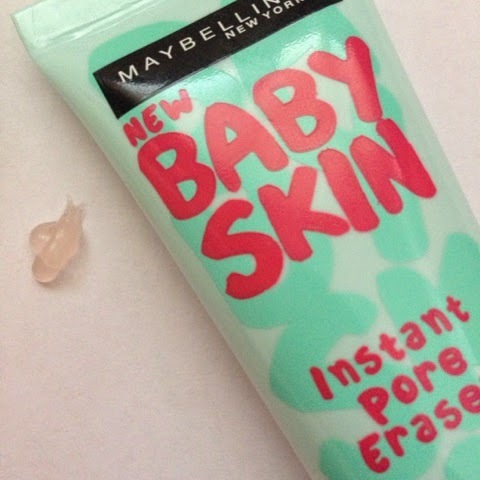 I would choose Porefessional if you want to splash out but, for a student like me I would highly recommend Babyskin. What products would you like to see on my next dupe debate?